Temecula, CA (December 8, 2009) DEFT Family, a united family of athletes, artists and creative Individuals, is proud to announce the much anticipated release of the 2010 Catalyst glove collection. The new online store features the latest gear from DEFT Family including an array of t-shirt designs, the limited edition LA glove designed for Summer X Games 15, and now the DEFT Catalyst glove collection. “We’re really excited that it’s all happening for real,” said Nate Adams, Founder of DEFT Family. “We really want to thank everyone for the support, both in the industry and out everyone has really been behind us and willing to help out.” continued Adams. This is the second product release to come just in time for the holiday season. 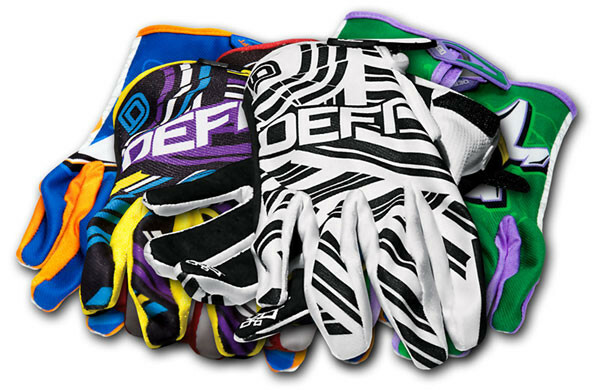 Check it out at www.deftfamily.com.